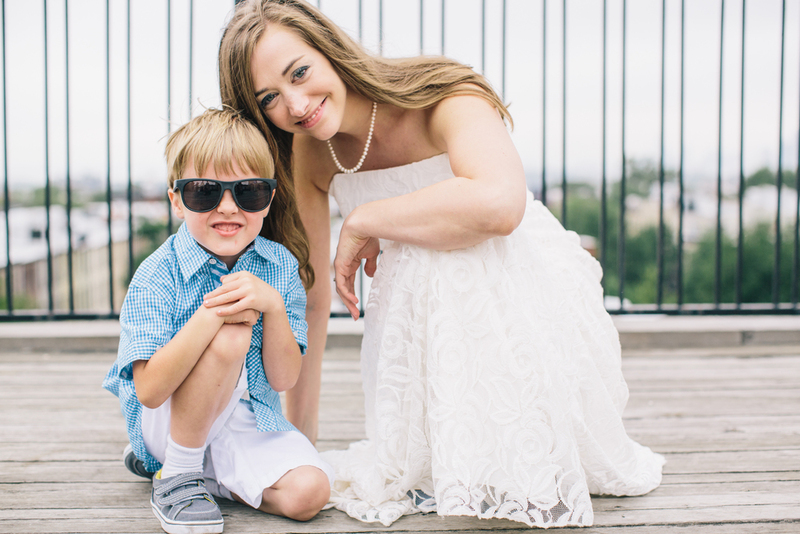 I'm so grateful to have kicked off the 2015 wedding season with the best wedding ever: Lisa and Paul are beautiful, funny, chill, and super in love. 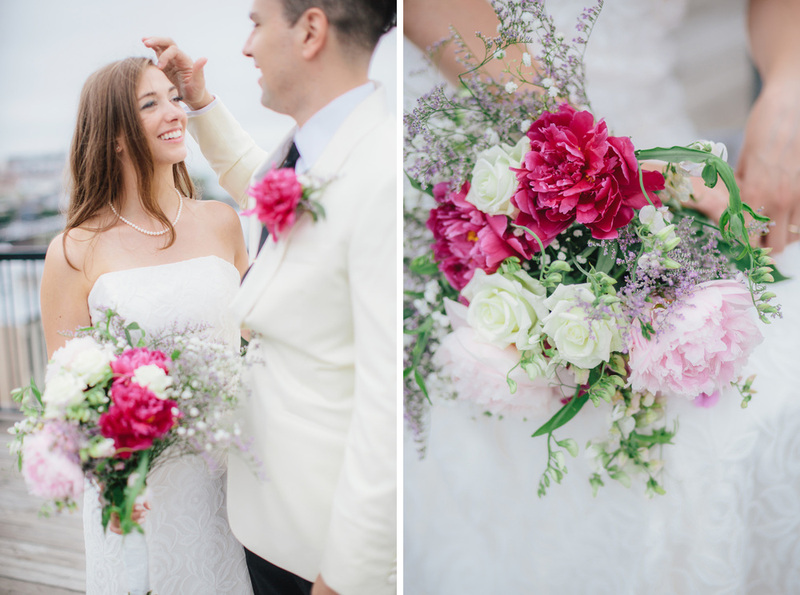 They have great style, wore flower crowns, and picked a gorgeous venue, The Picnic House in Prospect Park (just a 10 minutes' drive from my house)! 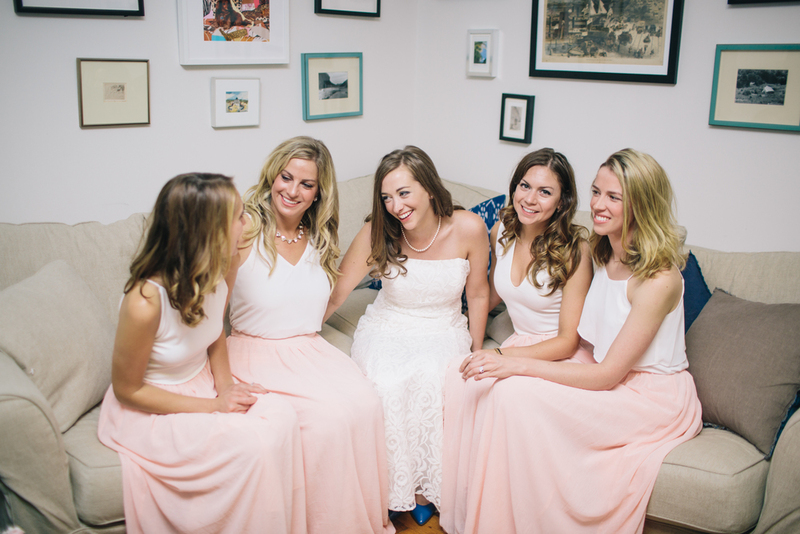 At the beginning of the day, Lisa and her bridesmaids got ready in a cozy little Brooklyn Heights apartment. All of the ladies wore the same long, billowy skirt in blush, but got to pick out their own style of white top to match (loved this!). 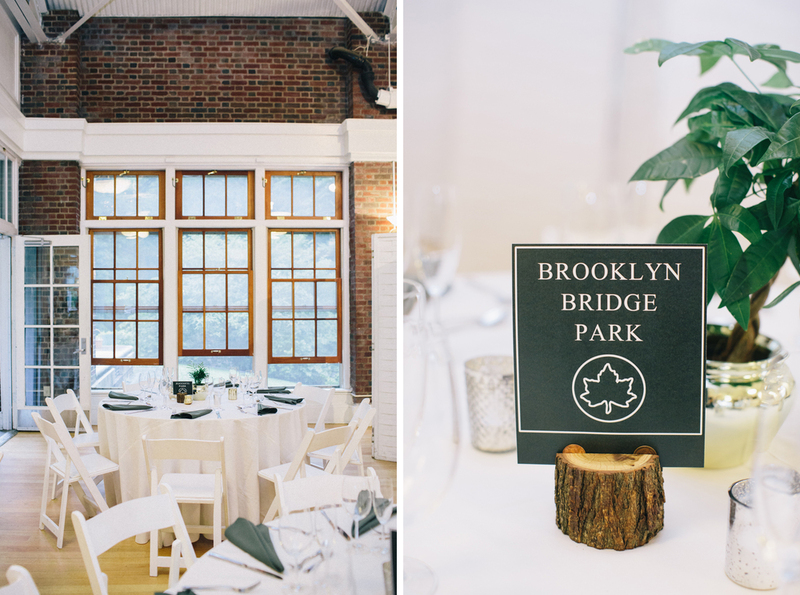 Lisa and Paul did their first look on an apartment rooftop overlooking beautiful Park Slope, Brooklyn, and then we took a stroll along the lush, green paths of Prospect Park. Even when it began to drizzle, Lisa and Paul carried on with smiles and laughter (and a stop at the hot dog stand! ), opting to open their umbrella only when it began to pour. 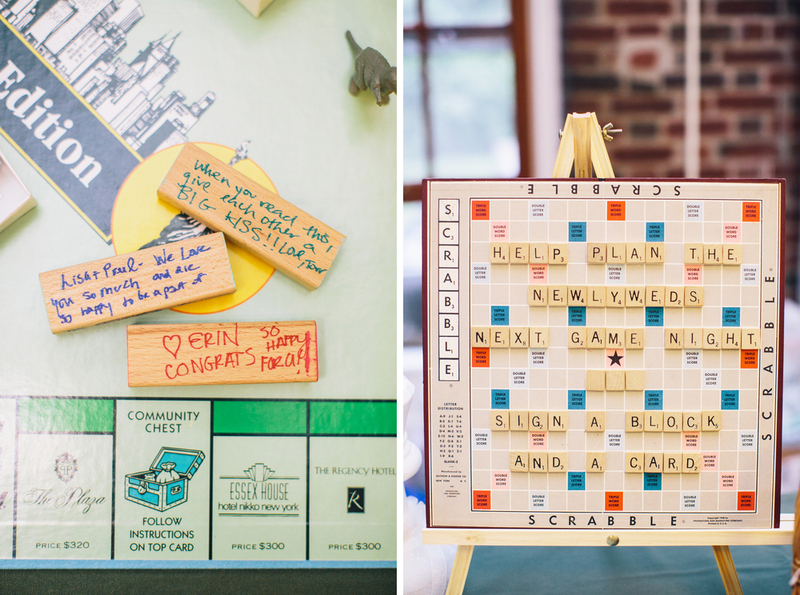 The rest of the day was filled with fun details that showed off Lisa and Paul’s quirky and artsy side: board-game themed guest books and mad-lib cards; the most awesome funfetti cake ever, complete with rainbow sprinkles and plastic dinosaurs; and a NYC themed table numbering system, with a subway map as a seating chart, and NYC park names as table numbers. 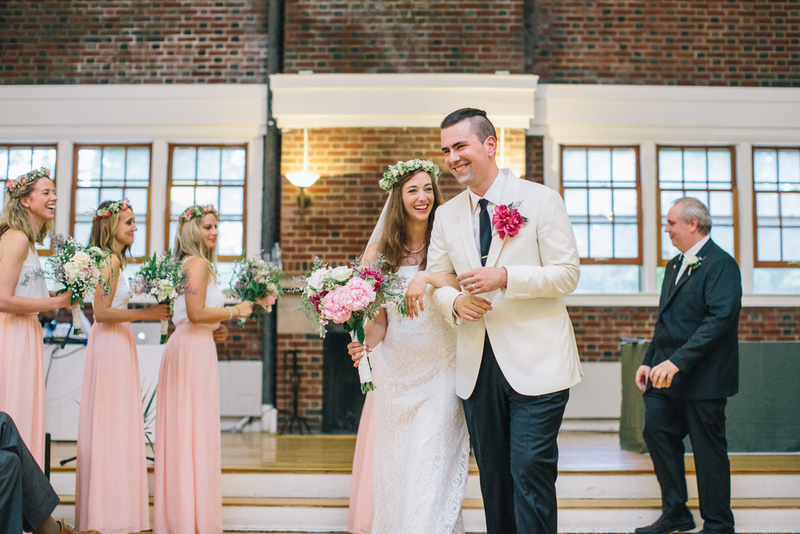 Friends and family shared warm memories and hilarious stories as Lisa and Paul exchanged life-long vows. 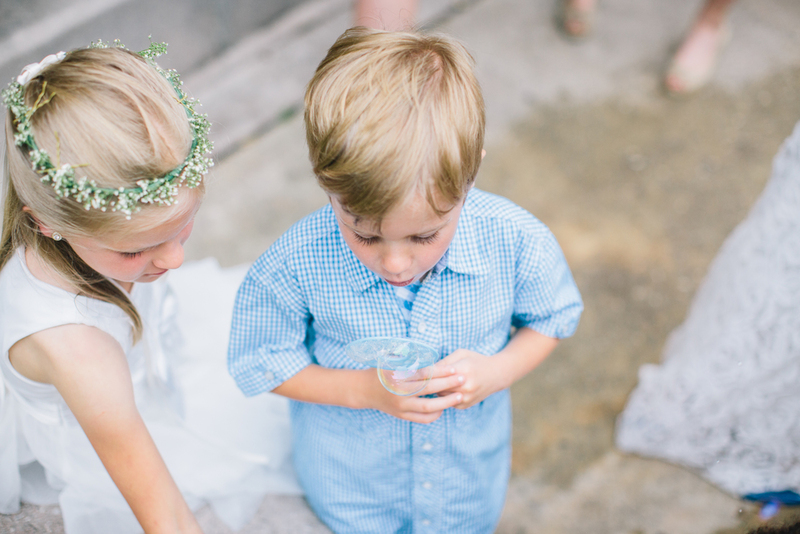 Then everyone danced the night away under pretty string lights: a perfect summer evening. Lisa and Paul, it was a beautiful day and I’m so honored to have been a part of it. Best wishes on all of your future adventures together! A stroll through Prospect Park. The ceremony begins inside of the Picnic House! Fun and beautiful details during the cocktail hour. Dancing the night away during the reception.